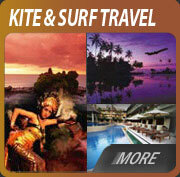 Order your kite 1 month before coming to Bali and save an extra 10%! 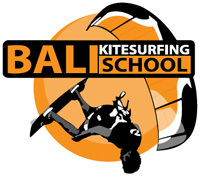 is the only school fully owned and managed by local Balinese Kiters! They are the best and we collaborate very closely. CABRINHA 2019 IN ORDER!!!! Best prices in the World!!! No wind no more problems! Come and try SUPS with us!! Kitesurfing, also know as Kiteboarding, is one of the most popular extreme sport of the new millennium that is making adepts in every corner of the worlds. No wonder that this amazing sport is gaining so much popularity. In Bali the movement started in 1999 and our web site is been there since then, catering information's for local riders and visiting kiters. In our pages you will find all kind of information's and news! From the wind statistic, wind forecast, where to ride, all the best spot of Bali and Indonesia, the shops, the schools, tides charts and all you really need to know about our favorite sport. If you would like to contribute we are an open sources and will welcome anything that could be useful for the community. We did few trips in others Indonesian Island and discover some places that are today world recognize for the great condition's of wind and waves like Sumbawa and Bintan. The Indonesian archipelago is formed by over 14.000 islands and we need the help of everyone to be able to share with everyone. 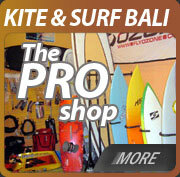 KITE & SURF BALI IS THE ONLY KITESURFING SHOP IN ALL OF INDONESIA! ALL OTHER WEB SIDE & COMPANIES ADVERTISING ON ALIBABA' ARE SCAMMERS..
WE ARE NOT ON ALIBABA' AND THERE ARE SCAMMER USING OUR NAME AND WEB SITE TO LOOK LEGIT. Exclusive real time wind reading in Bali. If you are looking for a winter escape to get some wind, sunshine, waves, great food and more fun than you had on your last bucks night then a winter trip to Bali could be just what the doctor ordered. On the surface Bali looks like a great holiday destination but it does have underlying problems which can ruin your trip. After spending a few weeks there each winter for the last three years, we thought we’d share what we have learnt so far. Bali does not have good reputation as a good wind spot but, if you understand what it can offer, you can have a great time. It is also one of the few spots in the world where you can take a non-kiting wife or girlfriend and they will be totally happy with the endless shopping, massages, nice resorts, amazing food and spectacular restaurants. The following tips will help you make your next trip a little bit easier and safer. There are really only few windy months starting from May through to September. June-July-August are the best bet but try and travel outside of Australian school holidays as it gets tight on airfares and accommodation. Jetstar flies from Sydney and Melbourne and Virgin fly from Brisbane and Perth. Singapore Air and Malaysian are options but you’ll need to change at KL or Singapore and it makes for a really long trip. Check also with AirAsia that has many new flights from all over Australia. Taking your gear is an issue and you will most likely end up paying excess luggage. My suggestion is to buy a Star Class seat on Jetstar and get the 30 kg baggage allowance. The other option is pre buy extra weight when you book. Jetstar allows you to buy 5kg units which really help. Be aware that excess luggage can get charged at $20 per kg on departure and they will charge you to get extra revenue. Booking early will save you heaps. This year Virgin was offering early bird fares for around $600 return. Kite wise take your bigger kites. If you are just staying in Bali you can forget about needing your 7m. For surf kiters I would recommend a 13 and 9 and for twin tip kiters go an 11 and 14. Don’t take more than 3 surfboards or the customs guys will try and fine you. If this happens you will have to negotiate a fine. This is totally unofficial but it does happen. They don’t seem too concerned about the number of kites you bring in. Take a large daypack as your carry on and put all your heavy stuff in this like your fins, spreader bar, possibly your bar if it fits. Then pack everything else in a double surfboard bag. I can get 2 surfboards and 2 kites in a bag to weigh around 20 kg. Using padlocks or zip ties gives you peace of mind that nothing has been added to your luggage and you can breathe easy when you go through customs. Bali has the worst arrivals process you are likely to experience anywhere. On Arrival you have to purchase a holiday visa for US$10 for 7 days and US$25 for 30 days. Once you pay that, then get in line for the slowest process of your life while they stamp your visa and enter your details. This has taken 1.5 hours on my last two trips. Make sure you notice the sign saying “Drug Trafficking is punishable by DEATH’’ and consider about what Shapelle was thinking as she was about to go and pick up her bags. After clearing immigration, go and get your bags and go through customs. Porters will offer to carry your bags for a few dollars. Your passport must be valid for at least 6 months from the date of entry into Indonesia, and you must have proof of onward passage (either return or through tickets). If you cannot fulfil both of these requirements, you may not be allowed to enter the country. If you haven’t got an airport pickup as part of your hotel booking then you have to get a taxi. It will cost about $10 to Kuta and $12 to Sanur and Nusa Dua. As you can imagine there's an enormous variety of accommodation available in Bali. It varies from magnificent five star resorts to simple jungle cabins, depending on the location. You have the choice of staying at Sanur (east coast) or the Kuta/Seminyak region (west coast). If you a flat water kiter then definitely base yourself at Sanur or Nusa Dua as there heaps of good areas for kiting inside the reef. If you are a surf kiter then stay at Seminyak where you can kite straight off the beach. Book your hotel well in advance. I have used www.asiarooms.com with good success. The exchange rate this year was AS$1 = 8,500RP. Bali is 2 hours behind Australia. Major credit cards are acceptable in most hotels. The best way to get cash is to use the ATMs and make sure your card will work overseas before you go. Travellers cheques are not worth the hassle. Beware that moneychangers on the street will try and scam you or charge a heavy commission. Wind – The wind comes from the South East and hits Sanur where it is generally onshore and light to moderate. As it passes over the land it gets compressed and generally is stronger on the Kuta side but is slightly offshore which makes for gusty conditions. 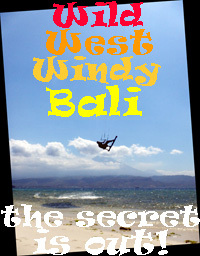 An average windy day in Sanur is about 14 knots although it can be better, hence why large kites are recommended. 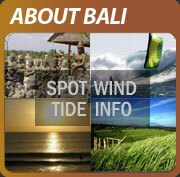 Wind strengths at Seminyak to Canggu can be 15 – 20 knots on good days. Flat water kiters should stick to Sanur or Nusa Dua. 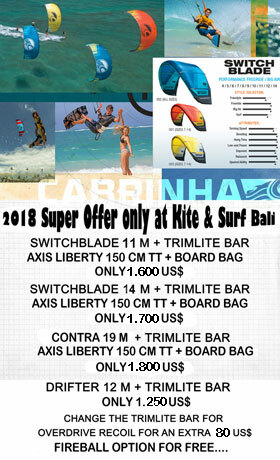 You can launch in front of the Sanur Beach Hotel and the Rip Curl Kite School operates from there, please note that there is a charge to use their facilities. 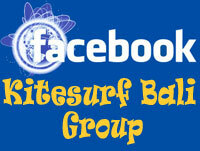 Bali Kitesurfing School is at Kite beach, located just around from the hotel strip. This is a better location as you can access the water even at low tide. Sanur offers a really big area of flat water inside the reef and if you’re just learning, the school has boats which can take you upwind and coach you. 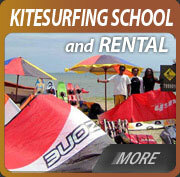 If you don’t want to take your kiting gear you can rent gear from the school for about A$ 70 per day. There is good surf outside the reef if you want to head out but I would not recommend kiting by yourself out there. There is a good shop right in Sanur run by Jankie who has a good range of gear to choose from if you break something or need a repair. Jankie also runs a great Italian restaurant and a hotel which is good value. Is a long strip of beaches where many of the 5 star resorts are based. Kiting is possible inside the lagoon on mid to high tide and would be a good spot to base yourself if you were taking the wife and family. It is possible to do a down winder from Nusa Dua to Sanur. Its lots of fun and a really beautiful way to see the coast. There is some surf at Nusa Dua but it is on the reef and is recommended for experienced surf kiters only. The tide is critical on this side of the island, so make sure you know what it is doing to avoid being caught outside the reef when it goes dry. It is possible to kite from the Bungy Tower all the way to Canggu or any spot in between. However, as mentioned, it is side offshore until you get to Canggu where it is side shore. The surf here can be pretty solid so don’t overestimate your skill level. Best spot for waves are in front of Ku De Ta bar and also up in front of Grand Balisani Suites Hotel. Canggu is the most consistent wave spot and does have a crew that kite there. The beach changes angle the closer you get to Canggu and the wind is more side shore. Best to avoid Echo beach as there will be surfers in the water even when is windy. Be aware of the rocks at Canggu when the tide drops. This spot also has windsurfers and Euros who will continually get in the way when you are on waves. Be aware that the wind drops at about 4pm and swings offshore quickly on this side. Don’t try and kite anywhere between Kuta and the Bungy tower at Seminyak as it is too offshore. There are shops at Canggu for drinks and you can arrange for a driver to pick you up from there. The traffic in Bali is nuts and there are no real rules. It is really congested and it can take an hour to travel 10kms so try and travel outside peak times if you can. You will find a range of chauffeur driven limousines, self-drive cars, taxis and hotel courtesy cars. Most taxis are metered so insist on the meter when you start. Bemos are a unique form of transport. They are a minivan masquerading as a communal bus. They park outside most hotels so chat to the driver and negotiate the fare that suits you both. You can get a driver and a van for the day for around $40. Motorcycles can also be hired and while it’s great fun to cruise around on the bike ask yourself if it is worth the risk of coming unstuck and not being able to go in the water. This year I met about 4 people who had come off bikes and had their trip ruined due to injuries. Travelling around Bali is made all the easier because everywhere you go you'll find friendly people who are only too happy to give you advice and directions on how to get where you want to go. If you wish to hire a car or a motorbike you must be over 18 years of age and possess an International Driver's Licence. The police love to pull over Westerners to try and get a fine (bribe) for not having a licence or some weird traffic rule. If this happens just negotiate the fine and get on your way. 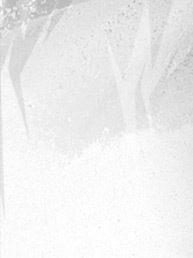 50,000RP will usually work so don’t have wads of cash in your wallet or they will want more. Light, airy, casual clothes are the most practical and you'll find natural fibres like cotton or linen are the most comfortable in Bali's often humid conditions. Waist sashes should be worn when visiting temples. Many people get “Bali belly” from sampling roadside food stalls. Strict vegetarians should be aware that a lot of Indonesian cooking contains fermented shrimp paste (terasi) as a basic ingredient. Although there are many vegetarian options available, please be specific when ordering food, as often a little chicken is included with most dishes. Please note you should ALWAYS buy bottled water (even to brush your teeth). Drinking tap water is not advised and will again result in Bali belly! It is not advisable to eat salads as the lettuce will be washed in ordinary water and is not safe. The ice in most bars is good and shouldn’t be a concern. The local beer BINTANG is great and cheap. Don’t be tempted to drink arak which is found in nightclubs in KUTA and is a home brew mix that has resulted in the deaths of 25 people this year. It is also possible to get mushroom shakes which send you on an hallucinogenic trip. These are not safe either and you can be out of your head for up to 12 hours. After much research by the KBM team we have listed a few spots worth hitting. Kuta nightlife starts around 10 or 11pm so it’s good to eat late. Try the Bounty, Embargo or Skygarden for an endless stream of pounding music and drinks. Be aware that the super friendly indo chicks are probably hookers and more attracted to your money than your good looks. Also be aware that some lady boys look super hot and it is hard to tell if they are guys or girls. This is another area that has 2 good locations with much more of a European and sophisticated feel than Kuta and there are way less Aussies there too. Get a taxi to Double Six and walk along the beach to find Dejavu and Bacio. These clubs are nice but only really get going on a Friday and Saturday night and don’t get busy until midnight. Double Six gets busy at 3am and goes till dawn. The other area is called Annapurri St and has a few good bars in it. It’s a short taxi ride from Double Six. Be aware that you will get offered drugs outside these clubs. Do not be tempted as they are often working with the police to get a bribe. The Sanur side is totally lame for nightlife so if you want to party stay on the Kuta side. If you want to visit one of the coolest bars on the planet head to Ku De Ta, an open air bar and restaurant about the size of a football field right on the beach, 600 metre north of the Bungy tower. Head there to watch the sunset along with the all the beautiful people of Bali. It is expensive but well worth a session. It also hosts some great parties so check out what’s on there during your stay. You should try to pack as light as possible when it comes to Bali. The weather will be very hot so light clothes are advisable. If you run out of clothes to wear, it’s cheap enough to go out and buy some new ones. It is cheaper to buy all your sunscreen needs at home than in Bali. We highly recommend that you bring a first aid kit and any medication you require. The water is warm so you don’t need a wetsuit. A 1mm vest is handy for early morning surfs but there is no need for anything more. Wetsuit booties are highly advisable as the sea urchins and reef can really spoil your week. Crime can be an issue in Indonesia, so we highly recommend that you leave your Rolex at home! It is best that you be aware of your valuables, especially your camera, passport and cash and keep them locked in your room or hotel safe. Keep them out of sight at all times from the room cleaners. Using a driver is the best way to avoid being ripped off while you are kiting or surfing. Make sure you have some and take the documentation with you so if you get hurt or need assistance you can call the 24 hour support number and quote your insurance number. There are mosquitos and there is dengue and possibly Malaria although this is not publicised. Therefore take some repellent and use it at night as well as use the air conditioner in the room and nets if they have them. Wild dogs are a problem in Bali and there is rabies so avoid them. If you do get bitten you will need to get medical attention straight away. The ocean is pretty dirty so if you are prone to water in your ears take some aqua ear to avoid getting an ear infection. Reef scrapes are pretty common so booties will help but if you do cut yourself clean it well with peroxide and treat with something like Bactroban, available from a doctor. If you do ride a motorbike wear a helmet, shirt and shoes. Bali is a shopper’s paradise and there are some good deals to be had. There is of course lots of fake merchandise such as watches and sunglasses and clothing. Be prepared to haggle and be nice when you do it. Basic rule of thumb is to settle on half the original asking price. I reckon its good karma to always give them a bit more. Most people stock up on pirate DVD movies which are about $1 each. These are available everywhere and the quality varies from good to unwatchable. The average worker gets about $100 per month so if you can give them an extra 20,000RP ($3) when you get a massage or have lunch then it will really help them out. If you are not getting a massage everyday then you are not living! You can get a full body 1 hour session at the local beauty shops for about $8. So why not treat yourself and you feel great every day. Your Australian mobile will work here in Bali if you activate global roaming before you go. It gets really expensive to use your Australian phone both for receiving and making calls so the hot tip is to by a cheap phone in Bali and get a Bali number. Internet is widely available in hotels and restaurants so taking you laptop is an easy way to access the net. When your trip is over and its time to hit the airport give yourself plenty of time and allow for traffic. I would arrive about 3 hours before departure to make sure you make it through ok. Airport Departure tax is 150,000RP so keep some cash for that. Bali can offer a really varied holiday. Don’t get too obsessed with the wind and if it’s not blowing then go and experience all that the island has to offer.